Prezi of the vocabulary we analysed in class. Esta entrada fue publicada en 1AC2013, language el 25/08/2013 por catalinarela. In writing we read a short story named “They gaver a rise”. Esta entrada fue publicada en 1AC2013, writing & oral el 25/08/2013 por catalinarela. In litertature we are starting to see a new poem, Hunting snake. Here is the analysis we did in class. Esta entrada fue publicada en 1AC2013, literature el 25/08/2013 por catalinarela. Here is some help to study for the term test. For ur writing class we had to make a “Fakebook”. A Fakebook is a webpage that simulates being a facebook. For this jhomework we had to make one simulating being a character of out story. HERE is mine. Nuestro profesor de eduación civica, Agustín Loye, nos dio una tarea que era hacer una imagen sobre la piramide jurídica Argentina. Esta entrada fue publicada en 1AC2013, ed civica el 22/08/2013 por catalinarela. Our history teacher, Lenny Ambrosini gave us a task, that was to write an essay. How far was the league of nations succesful in the 1920’s? In the following essay I am going to explain why the league was partly successful in the 1920’s. On one hand the league was successful in these aspects. It resolved the conflict in Upper Silesia; Upper Silesia was an industrial region between Germany and Poland. This region was disputed between the two countries. The league intervened and made Upper Silesia to vote for which country they wanted to be ruled. Half of the region voted for Poland and the other half for Germany. Upper Silesia was divided and one half went for Germany and another half for Poland. Both countries accepted the decision. Other conflict that was resolved was the Aaland Islands one. The islands were between Sweden and Finland, both countries were threatening to fight for them. The league intervened and decided that the islands should go to Finland. Also another conflict was resolved; Corfu. There was a border between Greece and Albania that had to be sorted out after the war. The conference of Ambassadors appointed to an Italian general named Tellini to supervise it. While they were surveying the border, Tellini and other soldiers were killed. An Italian leader called Mussolini was angry with the Greeks and blamed them for the murder of Tellini. He was so angry that invaded the Greek island Corfu and Greece asked for help to the league. The Council of the League met. It condemned Mussolini, and told him to leave Corfu and also it told the Greeks to pay compensation to Italy. Mussolini accepted the decision. On the other hand it wasn’t successful in these aspects. Two new states were created after the post-war treaties, Poland and Lithuania. Vilna was the capital of Lithuania but her population was partly Polish. In 1920 a private polish army simply took control of it. Lithuania asked for help to league. The league saw the case and Poland was the clear aggressor, so it protested to Poland but Poland did not withdraw. According to a pact, the league could have sent British and French troops to force the Poles to leave Vilna, but it didn’t. The French weren’t prepared to disturb Poland because they saw her as a possible ally with Germany in the future. Britain wasn’t prepared to attack so finally the league did nothing and the Poles kept Vilna. Other conflict that wasn’t resolved was the Bulgaria one. Some Greek soldiers were killed in an incident on the border between Greece and Bulgaria. The Greeks were angry and invaded Bulgaria. Bulgaria asked for help to the league. The league intervened and condemned the Greeks, and told them to leave Bulgaria. The Greeks obeyed and left Bulgaria. In conclusion, the league resolved some of the conflicts that it had to face, but not all of them so it was partly successful. Esta entrada fue publicada en 1AC2013, history el 20/08/2013 por catalinarela. Pilar Pando, our writing and oral teacher, gave us a task that was to write a summary of a text. A man was walking through an empty track when he suddenly heard the noise of an engine. At first it fought it was the noise of a car engine but then he realized it was the hum of an aeroplane. He looked up and saw the plane moving wildly from left to right when it fell down abruptly. He was feared but then changed his mind and ran to the scene of the accident. Esta entrada fue publicada en 1AC2013, writing & oral el 16/08/2013 por catalinarela. Escribir un texto de 200-250 palabras a partir de la siguiente afirmación “todos tenemos dos personalidades”. Yo creo que no “todos tenemos dos personalidades”, pero si distintas formas de actuar y reaccionar. En primer lugar para mí no es que tenemos dos personalidades, tenemos distintas formas de actuar frente a algo o alguien y de ser. Por ejemplo: yo no le hablo igual a la profesora que a mis amigos, yo no tengo el mismo estado de ánimo a las seis de la mañana que un viernes a la noche. Todo depende de la situación y con quienes esté. 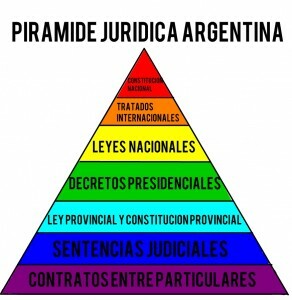 En segundo lugar todos tenemos una personalidad pero dividida en dos. La “buena” sale cuando por ejemplo te sacas un diez en un examen o metes un gol. La “mala” cuando te roban o tenes mucha tarea. En realidad no son dos personalidades si no distintas formas de actuar frente a diferentes circunstancias. Otra cosa es la enfermedad llamada esquizofrenia, una enfermedad mental, en la cual podes presentar síntomas como: alteraciones del pensamiento, alucinaciones, movimientos anormales y alteraciones en la motivación, es decir que uno no debe confundirse con que tiene “dos personalidades” porque tener dos personalidades es una enfermedad mental muy grave. En conclusión para mí no todos tenemos dos personalidades, pero si distintas formas de ser y actuar frente a determinadas situaciones. Esta entrada fue publicada en 1AC2013, lengua el 13/08/2013 por catalinarela. 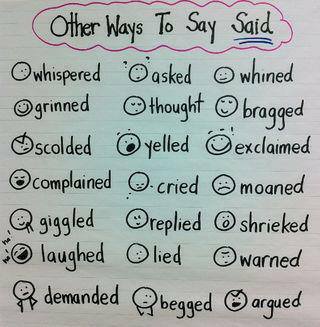 Here are some useful words to avoid repetitions in our essays. Esta entrada se publicó en 1AC2013 y está etiquetada con essay en 13/08/2013 por catalinarela.